Balance Knee is a high quality multi-axial prosthetic knee that offers an excellent stability adjustment to optimize the balance between knee stability and dynamic behavior for each user. 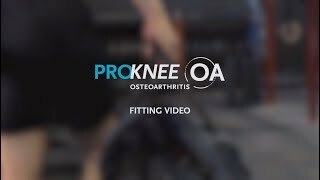 This short video presents how easy it is for practitioners to set up and adjust the knee to each individual user's cadence. 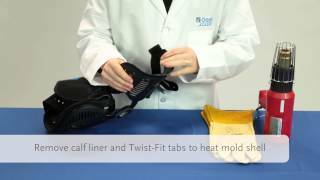 This video demonstrates the recommended casting process, modification and test fitting for Seal-In V liners in conjunction with Unity™ equipped Flex-Feet. Unity offers the security and freedom of vacuum suspension, but without the sensation and restrictions of a sleeve. 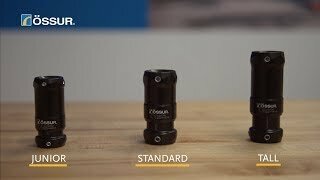 This advanced system from Össur effectively addresses volume fluctuation and is totally compatible with Flex-Foot technology. 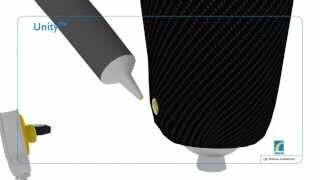 A video that demonstrates the accurate alignment setup for the Cheetah Xplore Junior. 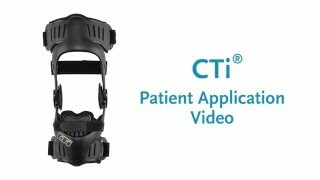 CTi braces provide the ultimate combination of stabilisation and protection of the knee joint. The brace uses Accutrac® hinges with extension stops to glide with the knee and breathable liners coated with bio-inert Össur® Sensil® Silicone to reduce migration and skin irritation. Reversible field-serviceable buckles and trimmable straps facilitate fast adjustments and customised fit. For more information, please go to http://www.ossur.com/injury-solutions/products/knee/ligament-braces/cti. 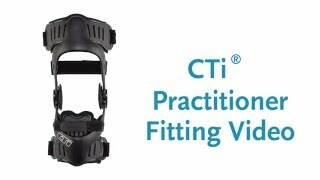 CTi braces provide the ultimate combination of stabilization and protection of the knee joint. The brace uses Accutrac® hinges with extension stops to glide with the knee and breathable liners coated with bio-inert Össur® Sensil® Silicone to reduce migration and skin irritation. Reversible field-serviceable buckles and trimmable straps facilitate fast adjustments and customized fit. For more information, please go to http://www.ossur.com/injury-solutions/products/knee/ligament-braces/cti. Outfitted with anatomically correct Accutrac® hinges and flexible cuffs and buckles, the rock-solid CTi carbon frame provides a rigid exoskeleton that stabilises the knee joint. Breathable liners coated with bio-inert Össur® Sensil® Silicone ensure CTi remains properly positioned on the leg, for optimal functional benefit. The first choice for all ACL, MCL, LCL, PCL, rotary and combined instabilities at ALL activity levels. 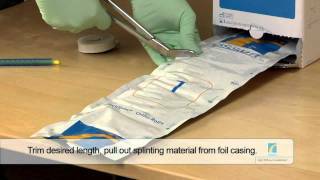 Instructional video for Ossur's DVT Care unit. The DVTCare Personal Circulation Assistant is designed to help prevent the occurrence of blood clots in the deep veins of the legs, known as Deep Vein Thrombosis (DVT). The DVTCare Ca5 aids in the prevention of DVT by applying pneumatic compression to the lower leg thereby increasing venous velocity and preventing venous stasis. Hospitals have been using similar blood clot prevention devices for decades, and with great success. However, never before has this therapy been able to be continued at home with such convenience. To make balancing more difficult try to stand on a balance board. Be careful stepping on and off the balance board. Walk side ways, crossing the prosthetic foot over the sound side foot. Make sure you contract your muscles around your residual limb and pelvis and to stabilize. Place obstacles (plastic cups or toys) on the floor at equal distances and step over them. Raise your knee up until it is in line with your hip / pelvis height and repeat with every step. 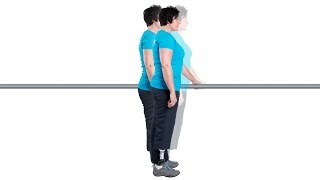 Shift your weight slowly onto your prosthetic side, it will help if you contract your gluteal muscles (muscles around your hip / pelvis) and contract the muscles of your residual limb to stabilize. Next, shift your weight slowly back onto your sound side, and repeat. Mark 3 different spots on the floor: for a small step, a medium step and a large step. 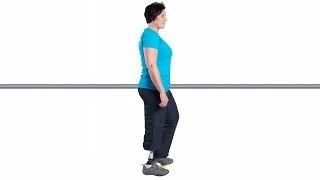 Actively load your weight onto the prosthetic side and make a step forward with your sound side. 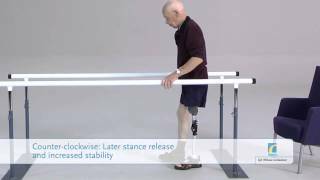 Focus on your balance over the prosthesis as you move forwards and backwards with your foot. Make sure you make a full step forwards and backwards. Stand upright, divide your weight between the prosthetic side and the sound side. Use a mirror for visual control. 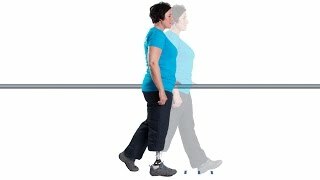 Shift your weight slowly onto your prosthetic side, then push your residual limb into the socket and slowly place the sound side foot on the step. 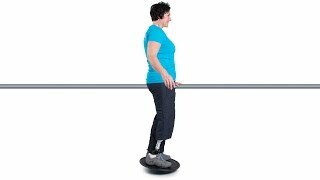 Try to control your balance on the prosthetic side using the muscles around your knee and hip / pelvis. Pay attention on the forward movement of your pelvis to keep it line and not twisting or rotating. Shift your weight onto the sound side and place the Theraband around your prosthetic foot. 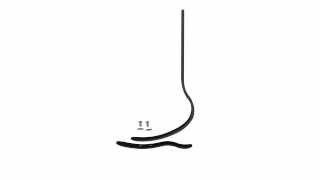 Move your prosthetic foot in a slow and controlled motion to the side, making sure your prosthetic foot travels in a straight line. Bring a patient and roll up your sleeves for this participatory workshop, where you will learn the basics of aligning a sports prosthesis. 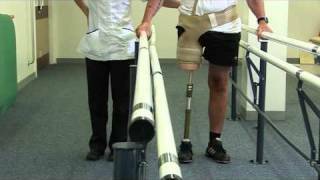 The Height Adjustable Pylon by Össur saves prosthetists time, improves the amputee experience, and keeps prosthetists looking professional when providing care outside the clinic. With the Height Adjustable Pylon prosthetists can make height, rotation and angle adjustments quickly and easily without cutting or grinding. 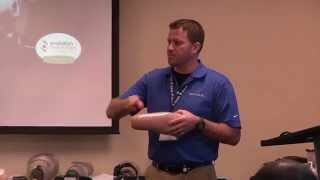 Hear Chris DiGioia, CP, describe his experience using Height Adjustable Pylons on definitive and preparatory prostheses. Attaching the Miami Lumbar rigid panels to the belt. 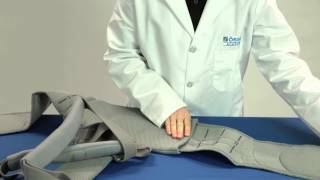 The Össur video for the Miami Lumbar® fitting procedure. 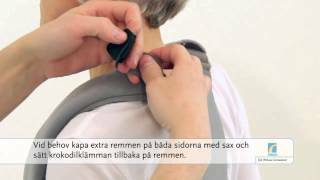 Professionell Montering video guide för Miami Lumbar ® Posteo. 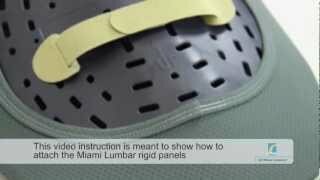 Professional Fitting Video Guide for the Miami Lumbar® Posteo. 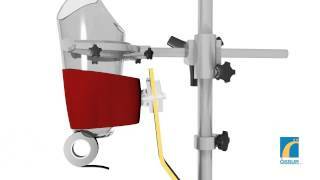 The Össur video for the Miami Lumbar® TLSO fitting procedure. Össur Academy working with clinicians to enhance the use of elevated vacuum for maximum suspension. #UnityForAll For more information on our education seminars please visit: http://www.ossur.com/prosthetic-solutions/education-support. 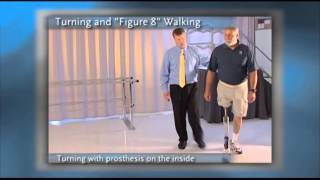 -Join world-renowned experts in lower limb amputee mobility — Bob Gailey and Peter Harsch — for a truly unique experience. 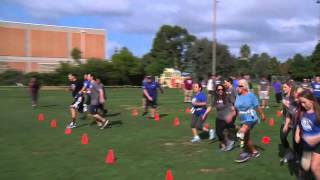 Improve your overall mobility while connecting with other amputees, including Össur and CAF mentors. A running prosthetic isn’t necessary to participate. All ages and abilities are welcome and there’s no cost to attend. Össur Rigid Dressing (ORD) is designed to immobilize, protect and control post-operative oedema in the trans-tibial residual limb immediately following transtibial amputation surgery. 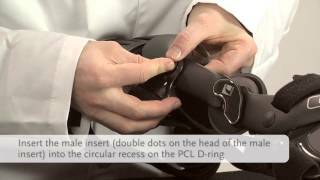 The Paradigm knee brace has the perfect balance of control and comfort. Indicated for mild to severe ligament instability or laxity, ligament deficiency or sprains, protection and stabilization of ligaments after surgical repair or reconstruction. 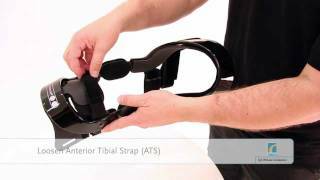 This video presents the initial fitting procedure and brace adjustments. 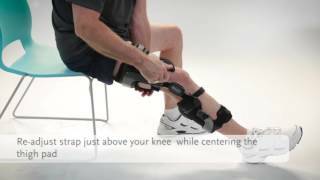 The Paradigm knee brace has the perfect balance of control and comfort. Indicated for mild to severe ligament instability or laxity, ligament deficiency or sprains, protection and stabilisation of ligaments after surgical repair or reconstruction. 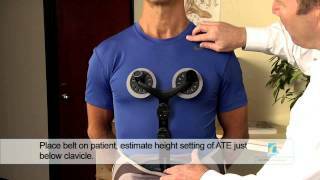 This video presents the fitting procedure and brace adjustments. The world's first and only active prosthesis for above-knee amputees, this highly intelligent knee works as an integrated extension of the user, replacing true muscle activity to bend and straighten the knee as required. Provides the power to help maintain walking speeds. Assists with the upward motion required for stairs and inclines. 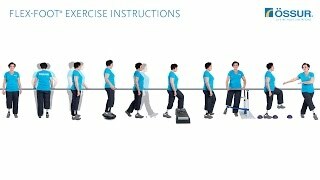 Learns and responds to unique patterns of gait for natural, efficient motion. 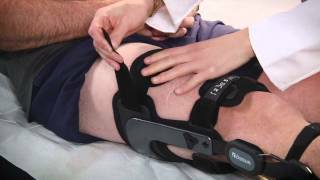 The Rebound Cartilage brace is a protective functional solution designed to support regeneration of the knee cartilage after repair procedures such as Microfracture, OATS and (M)ACI. 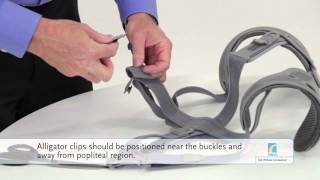 The Rebound Cartilage brace can be custom-fit to patients by conducting modifications such as heat molding shells, bending hinge arms and contouring the tibial shell to modify the braces to the patient’s anatomy. Rebound® PCL is a dynamic brace which is prescribed by the healthcare practitioner after Posterior Cruciate Ligament injury. The brace has a unique Dynamic Tension System (DTS) which applies a physiologically correct dynamic force to the PCL during rehabilitation. Insufficient healing after PCL injury can lead to significant pathologies such as chronic knee pain, chronic instability and disability or knee osteoarthritis. Therefore, it is essential the patient learns to put it on correctly to ensure adequate support of their knee and also optimal comfort. For more information, please go to www.ossur.com/rebound-pcl. The Rebound® PCL is designed to apply a physiologically correct dynamic force, optimum for rehabilitation of posterior cruciate ligament (PCL) ruptures, whether during functional (non-surgical) treatment or post-surgical reconstruction. The dynamic load of the Rebound PCL on the tibia is generated by applying an anterior directed dynamic force on the calf area, and opposing counter forces on the anterior aspect of the leg. For more information, please go towww.ossur.com/rebound-pcl. The ReSolve® Halo system is recommended for use in traumatic or chronic disorders of the cervical spine that require traction. It can be used to align the vertebral structures, maintain reduction or provide stabilisation and is suitable for use post trauma or surgery. Correct spinal protocol should be maintained at all times during application. These instructions do not supercede physician’s orders or hospital protocol. 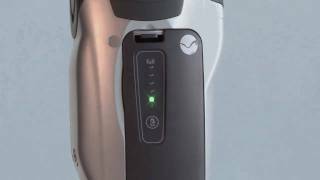 The SYMBIONIC LEG is the first complete bionic leg. Combining a powered ankle and an adaptive microprocessor knee joint, the SYMBIONIC LEG provides unmatched benefits for transfemoral amputees. The active toe lift in swing clears the ground and minimizes the risk of tripping. Should a stumble occur, an advanced stumble recovery feature protects the user from a fall by providing instant stance support. Automatic terrain adaptation adjusts the ankle angle according to the steepness of the slope, generating better ground contact and optimal knee response when ascending or descending ramps. Using the heel height adjustment, the user can change shoes or go barefoot without compromising the alignment of the prosthesis. 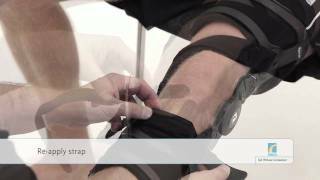 The Össur video for the Techform® Orthoroll™ splinting material. Osteoarthritis is an ongoing condition where the cartilage in the joint gradually breaks down, slowly increasing the pressure on the bone's sensitive outer layer. The Unloader One knee brace is designed to help treat this condition. It is clinically proven to reduce pain, improve mobility and helping you to be less reliant on pain killers and return to a more active life. 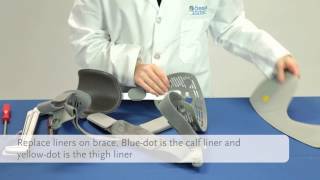 The Össur Unloader One® knee brace is a non-invasive, economical treatment option for osteoarthritis, proven to reduce pain and improve mobility. 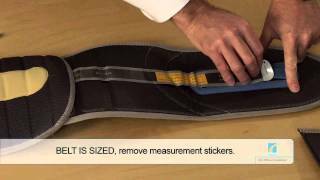 The Unloader One® is a comfortable, lightweight, low-profile brace that provides excellent suspension and pain relief. The Unloader One can be custom-fit to patients by conducting modifications such as heat molding shells, bending hinge arms and contouring the tibial shell to modify the braces to the patient’s anatomy. Many sufferers of OA knee pain are overweight. For these patients, containing excess soft tissue is essential for comfortable and effective bracing. That’s why our the Unloader One Plus model features a wider thigh strap than the standard version, plus a gastroc strap that helps secure the brace in place. 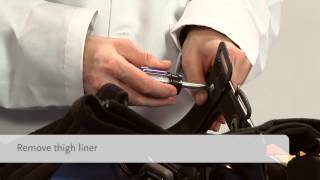 The Unloader One Plus can be custom-fit to patients by conducting modifications such as heat molding shells, contouring hinge arms and modifying the tibial portion to adjust the brace to the patient’s anatomy. 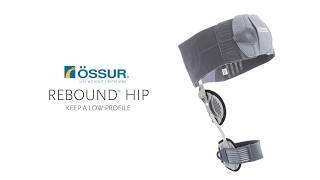 The Unloader Hip is Össur’s first brace for the conservative treatment of hip osteoarthritis. It is designed to optimize load dispersion on the affected joint surface, through external rotation and abduction of the femoral head. Patients can easily adjust the individual required amount of abduction and external rotation by turning the SmartDosing dial which is placed on the external rotation strap in the front. External rotation and abduction correction occurs during swing phase, providing adapted positioning at heel strike. 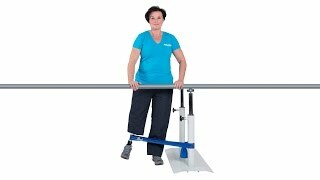 The easy-to-use pulley system of the Unloader Hip provides compression and delivers proprioceptive support during the gait cycle. The Unloader Hip can be used for uni- or bilateral, mild and moderate hip osteoarthritis and is available as female and male version. The Unloader® Hip is a new kind of brace that was designed to reduce pain from hip OA and can improve hip function and quality of life. It is sleek and lightweight and can be worn underneath clothing. It gives light compression to your hip to increase stability. Also, its rotation control strap rotates your thigh bone to take load off the affected part of your hip joint. It enables you to control your hip pain and protect your cartilage.